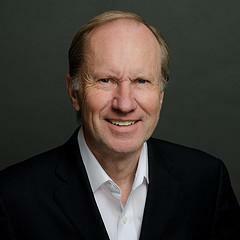 Bjorn Engquist's research field is computational and applied mathematics and numerical methods for differential equations with applications to multi-scale modeling, electromagnetism, and fluid mechanics. Engquist has authored more than 100 scientific publications and advised 31 Ph.D. students. 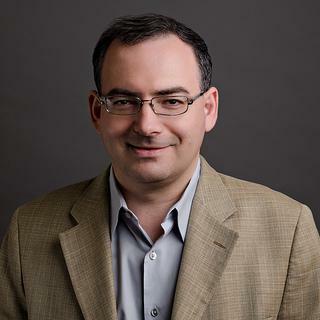 Sergey Fomel received a Ph.D. in Geophysics from Stanford University in 2001 and worked previously at the Russian Institute of Geophysics and the Lawrence Berkeley National Laboratory. 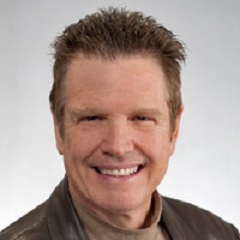 He received the J. Clarence Karcher Award from the Society of Exploration Geophysicists (SEG) in 2001, Best SEG Poster Presentation Award in 2007, Conrad Schlumberger Award from the European Association of Geoscientists and Engineers (EAGE) in 2011. Xinming Wu received a Ph.D. in Geophysics from Colorado School of Mines, where he was a member of the Center for Wave Phenomena. He interned twice at Drillinginfo in Littleton, Colorado. From August 2015, he has been working at TCCS with Dr. Sergey Fomel, first as a visiting Ph.D. student and now as a postdoctoral fellow. He is mainly interested in seismic interpretation, image processing, machine learning, subsurface modeling and geophysical inversion. He received the Best Paper Award in Geophysics in 2016 (coauthored by Dave Hale) and the Top 30 SEG papers award in 2017 (coauthored by Sean Bader and Sergey Fomel). ​​​Links to his homepage and software. Luke Decker is excited to be studying computational methods for seismic imaging under Prof. Sergey Fomel. Luke earned a BA in physics with a minor in mathematics from Whitman College in 2008, authoring an honors thesis, "The Effect of Aluminum Doping on the Molecular Sol Gel Silicate Glasses". After graduation, he went to work in the oilfield as a mudlogger for King Canyon Buffalo until December 2010 when he enrolled at Western Washington University to earn a BA in geophysics, completed in December 2011. After completing his Masters in Geophysics, Luke joined the Ph.D. program in Computational Sciences, Engineering, and Mathematics (CSEM). In his free time, he enjoys bicycling and bicycle touring. Zhicheng Geng is currently a Ph.D. student under the supervision of Prof. Sergey Fomel. Zhicheng graduated from Tongji University with a Bachelor’s Degree in Geophysics in July 2017. During his undergraduate studies, he worked with Prof. Yuzhu Liu on seismic inversion. He decided to choose the University of Texas at Austin for its outstanding academic atmosphere and excellent research opportunities. Harpreet Kaur graduated from Indian School of Mines with a masters degree in Geophysics in 2015. She worked with Schlumberger as an access engineer and with Geological Survey of India as a geophysicist. Currently she is a Ph.D. student supervised by Prof. Sergey Fomel. Dmitry Merzlikin is currently a Ph.D. student, who received his master degree in Geophysics from Lomonosov Moscow State University in June 2014. In his master thesis, he focused on the application of different migration techniques to high-resolution seismic data. In his bachelor project at the same university, he was engaged in the processing of seismic data with low signal-to-noise ratio. In 2011, Dmitry was a participant of the 18th TTR "Floating University" cruise in the Barents Sea. His current main research interest is seismic diffraction imaging. Yunzhi Shi graduated from the University of Science and Technology of China with a Bachelor's Degree in Geophysics in July 2015. He studied ambient noise correlation method with Prof. Huajian Yao and parallel computing algorithm for RTM with Prof. Xiaofeng Jia in USTC. He currently focuses on deep learning applications on interpretation tasks including fault detection, salt body classification, and stratigraphic correlation. In his free time, he enjoys any hacking-related activities. Yunan Yang received a Bachelor degree in Mathematics and Applied Mathematics from Zhejiang University, China, in 2013. Her thesis was on the computation of the conductivity within a class of materials, a type of inverse problem. Then she came to UT Austin for graduate studies. Currently, she is a Ph.D. student in the math department working with Bjorn Engquist on numerical analysis. Her research recently is focused on full waveform inversion (FWI) in terms of a new misfit function: the Wasserstein Distance. Yunan also has interests in machine learning and statistics. Cooking, traveling, and sports are things she does in her spare time to enjoy colorful life. Sean Bader received his Bachelor of Science degree in geophysics/geophysical engineering from Colorado School of Mines in 2015. His previous experience is with the application of seismic attributes as an aid to interpretation. Sean is currently an M.S. student working with Dr. Sergey Fomal at TCCS. His interests are in understanding and integrating of all available data: well log, seismic, geology, and computational methods such that we can paint a complete picture of the subsurface. After graduation, he hopes to work in the energy industry. Ben Gremillion received his Bachelor of Science in Geophysics and Mathematics from Texas A&M University in May 2017. He is currently an M.S. student working with Sergey Fomel, and his interests include seismic imaging, migration, and seismic data processing. His previous research included searching for evidence of slow-slip events in the Cascadia subduction zone using ocean-bottom pressure data and performing mineral separation for detrital zircon age dating. Ben hopes to work in the oil and gas industry after graduation. Nam received his Bachelor’s Degree in Geophysics and Mathematics from University of Tulsa in May 2017. His previous experience is with seismic and well log interpretation in Taranaki Basin, New Zealand. Nam is currently a first year master student working with Dr. Sergey Fomel at TCCS. His interests are in implementing deep learning in seismic pattern detection and reservoir characterization. After graduation, he hopes to find a job in an oil company. Sarah Greer is an undergraduate student, where she is double majoring in geophysics, from the Jackson School of Geosciences, and mathematics, with a specialization in scientific computation, from the College of Natural Sciences. She is part of the Jackson School of Geoscience's Undergraduate Honors Research Program, and is completing her honors thesis under the advisement of Dr. Sergey Fomel. Karl Schleicher works closely with our group developing and using new software. He deployed advanced seismic processing technology for GSI, Halliburton Geophysical, Western Geophysical, GDC, AGS, and PGS before retiring in early 2010. Karl is processing public domain seismic data with open software to validate university research and accelerate commercialization. 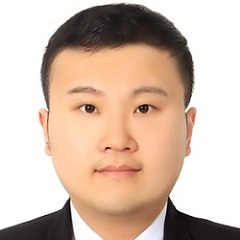 Yuhan Sui is a visiting scholar at Harbin Institute of Technology (HIT). He received his bachelor's degree in Mathematics and Applied Mathematics from HIT in 2014 and he is a candidate Ph. D student of Mathematics in HIT now. His research interests include seismic wavelet and deconvolution. Yuhan received a scholarship from the China Scholarship Council in support of his visit to TCCS in 2017-2018. Lubna Barghouty is an international student from Saudi Arabia. After graduating from Dhahran Ahliyya Schools in the eastern province, she obtained a scholarship from Saudi Aramco Oil Company to study abroad and to pursue a degree in geophysics. 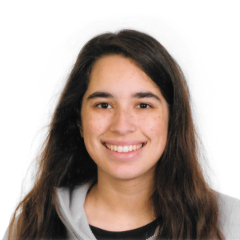 She completed her freshman program at McGill University, Montreal, and is now pursuing her bachelors degree at the University of Texas at Austin. She is a student at the Undergraduate Honor Research Program at the Jackson School of Geosciences. Her research, under the supervision of Sergey Fomel and the guidance of Karl Schleicher, aims at multiple attenuation of a 2D marine dataset and testing of an unconventional, velocity-independent seismic imaging method. Vladimir Bashkardin holds a degree as a Mining Engineer from the Gubkin Russian State University of Oil and Gas, in Moscow, Russia, where he specialized in geophysical methods of mineral exploration. He also was a lecturer there for an undergraduate class. Mr. Bashkardin also worked as a software engineer in the development of seismic interpretation software, and has targeted geophysical applications to GPU architectures. His choice of the University of Texas for his postgraduate career was based on "the unparalleled choice of research opportunities". T. Jules Browaeys works at the Bureau developing computational and theoretical methods for seismic imaging. Dr. Browaeys received his M.Sc. (2001) and Ph.D. (2005) in Geophysics from the Institut de Physique du Globe de Paris in France. His thesis focused on theoretical and numerical modeling of seismic anisotropy. Dr. Browaeys was trained as a fundamental physicist, qualified as a physics lecturer in 2000, and received an M.Sc. in physics in 2001. He is currently involved in research projects on seismic migration, angle-domain common image gathers, fractal statistics, and parallel computing. His several year's teaching experience in Paris (France) include wave and vibration physics, gravimetry, and experimental design. 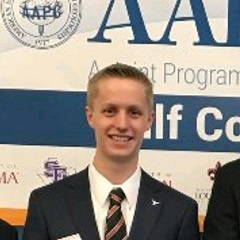 Will Burnett received a bachelor's degree in geophysical engineering from the Colorado School of Mines amd a master's degree in geological sciences from the University of Texas under the supervision of Robert Ferguson. He is currently working on a doctorate from our group. His interest is in using unconventional attributes of seismic data to determine the subsurface structure. While Bill had other alternatives for his doctoral work, he chose the University of Texas because of its resources that are "second to none", including faculty, facility and equipment. Besides, he adds, it is "a very cool place". Yihua Cai received an M.S. in Statistics from the University of Texas at Austin in August 2009. He works with Dr. Sue Hovorka in the the Gulf Coast Carbon Center and is interested in applications of Bayesian analysis and statistics in Geophysics. Hanming Chen is pursuing his PhD in Geophysics under the supervision of Prof. Hui Zhou at China University of Petroleum - Beijing (CUPB). Hanming obtained his master's and bachelor's degrees from CUPB and Yangtze University, respectively. His research interests include seismic modeling and inversion. Hanming received a scholarship from the China government in support of his visit to TCCS in 2016-2017. Yangkang Chen is currently a Ph.D. student under the supervison of Prof. Sergey Fomel. Yangkang graduated from China University of Petroleum(Beijing) with a B.S. degree on Exploration Geophysics. In his undergraduate study, he worked with Profs. Xiaohong Chen and Jingye Li on research topics in rock physics, and with Dr. Jitao Ma on multiple attenuation using L1-norm matching and noise attenuation using EMD. He chose the University of Texas at Austin because of the high reputation of TCCS in the Exploration Geophysics field. Zhonghuan Chen received his bachelor's degree from Huazhong University of Science and Techenology (2008). He then began his Ph.D. research at Tsinghua University, advised by Prof. Wenkai Lu. Chen is currently a visiting Ph.D student at BEG, collaborating with Sergey Fomel. He is interested in wavefield separation, seismic modeling, and statistics. Jiubing Cheng, an Associate Professor from Tongji University, who was awarded a fellowship under the State Scholarship Fund, will spend 1 year at TCCS. His research interests include wave propagation, imaging and velocity model building in anisotropic media, fracture characterization based on azimuth-preserved local angle-domain seismic imaging, rock-facies classification and hydrocarbon prediction by integration of statistical rock physics and seismic inversion, and geophysical technique for shale-gas exploration and development. Gang Fang is a visiting student at TCCS working with Prof. Sergey Fomel. He has been awarded a scholarship under the China State Scholarship Fund. Gang is currently pursuing a Ph.D in Geophysics at China University of Petroleum (East China) under the supervision of Prof. Qizhen Du. He received his Master's Degree in Geophysics from China University of Petroleum (Beijing). His research interest focuses on true-amplitude seismic imaging for acoustic and elastic media. He chose TCCS because of its outstanding research and talented staff. Mehdi E. Far received his B.Sc. in Petroleum Engineering from Petroleum University of Iran in 2001, his M.Sc. in Geosciences from IFP School, Paris, France, in 2008, and his Ph.D. in Geophysics from University of Houston in 2011. His research interests include seismic anisotropy, fracture modeling, multi-component seismic, AVO, AVAZ, seismic inversion, image processing and pattern recognition. Brittany Froese is an instructor in the Department of Mathematics and postdoctoral fellow at the Institute for Computational Engineering and Sciences (ICES), University of Texas at Austin. She earned a BSc (2007) in Mathematics from Trinity Western University and an MSc (2009) and PhD (2012) in Applied Mathematics from Simon Fraser University. Her research focuses on the development of numerical methods for nonlinear partial differential equations. Shaunak Ghosh received his BS and MS degrees in a 5-year integrated program at the Indian Institute of Technology, Kharagpur. For his thesis, he worked on finding good initial estimates for the Common Reflection Surface Stack from slopes obtained using structural tensors. Previously, Shaunak has undertaken internships at the Bayerisches Geoinstitut (BGI), Woods Hole Oceanographic Institution (WHOI) and the Wave Inversion Technology consortium at the University of Hamburg. He chose UT Austin for his graduate studies because of the excellent program it has in Geosciences and other disciplines pertinent from an applied geophysicist's point of view, such as Computer Science and Petroleum Engineering. Shujuan Guo is a visiting Ph.D. student from the China University of Petroleum (East China). After Shujuan received her bachelor's degree of Exploration Technology and Engineering in 2006, she began her master's degree study of applied geophysics and matriculated to be a doctor student exempted from the admission exam in 2008, under the supervision of Prof. Zhaoqi Tong and Zhenchun Li. Her research is mainly on migration of multiples. She is currently involved in research projects on seismic migration of multiples and reverse-time migration. She believes in having an absolutely worthwhile experience in Austin. Jingwei Hu is a postdoctoral fellow at the Institute for Computational Engineering and Sciences (ICES), University of Texas at Austin. She is co-supervised by Sergey Fomel and Lexing Ying on seismic wave modeling and related mathematical problems. Jingwei received her BS degree (2006) in computational mathematics from Peking University, China, and her PhD degree (2011) in mathematics from the University of Wisconsin-Madison. During her graduate studies, she worked with Prof. Shi Jin mainly on numerical methods for the quantum kinetic equations and high frequency waves. Jun Ji received his BS (1987) and MS (1989) in engineering from Seoul National University, Korea, and a PhD (1995) in geophysics from Stanford University, where he studied at the Stanford Exploration Project. During the summer of 1993, he was employed as a geophysicist by Mobil Exploration & Production Technical Center. In 1996, he worked as a senior geophysicist at 3DGeo Development Inc. Since 1997, he has been a professor of Information System Engineering at Hansung University, Seoul, Korea. His research interests are in 3D seismic imaging, inversion, signal processing, and missing data interpolation. Parvaneh Karimi received her BS in Mining Engineering from Shahid Bahonar University, Iran, and her master's degree in Geophysics (Exploration Seismology) from the University of Tehran, where she worked on spectral decomposition to estimate seismic thickness and to propose locations for drilling new wells in the Persian Gulf. She was attracted to UT Austin because of its history of excellence and its outstanding intellectual atmosphere. Hesam (Sayed Hesammoddin) Kazemeini is a postdoctoral fellow at the Bureau of Economic Geology, The University of Texas at Austin, and is working with Prof. Sergey Fomel on seismic data processing. Dr. Kazemeini received his Master's Degree in Geophysics specialized in Exploration Seismology from the Institute of Geophysics at Tehran University in Iran. He is interested in wavelet analysis, seismic modeling and multi-component studies among others. He is currently involved in a research project on seismic modeling and improving seismic resolution using unconventional data analysis. 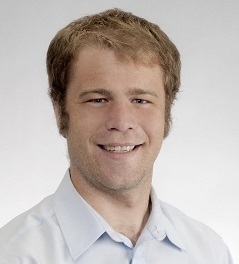 Roman Kazinnik is a postdoctoral fellow at the Bureau of Economic Geology, The University of Texas at Austin, and is working with Prof. Sergey Fomel on seismic data processing. Dr. Kazinnik received his Master of Computer Science from Technion, Israel, and his Ph.D. in Applied Mathematics from Tel Aviv University, Israel (2008). His work is focused on Geophysical data analysis, mathematical and computational methods to solve problems in processing of geophysical data and in seismic imaging of the Earth's interior, and developing new geophysical algorithmic techniques using theoretical seismology, applied mathematics, computational statistics, and signal processing. Alexander Klokov received his M.Sc. (2007) and Ph.D. (2010) in Geophysics from the Gubkin Russian State University of Oil and Gas in Moscow, Russia. His thesis was devoted to residual moveout correction based on the Common Reflection Surface principle. At the Gubkin University, Alexander also taught a course on "Computers and Computational Technologies in Exploration Geophysics" for sophomore students. Before joining UT Austin, he worked at OPERA in Pau, France, where he developed new methods for seismic diffraction imaging. Yenming (Mark) Lai received his BSEE from Rice University in 2004 and PhD in Applied Mathematics from the University of Maryland in 2014. From 2006-2008, Lai was an Algebra I high school teacher at Lanier High School in Austin, TX. Lai's research interest include large scale sensor array optimization, beam-pattern design, and Compressed Sensing. His work is focused on being not only reproducible but immediately applicable to industrial needs. Siwei Li graduated from Peking University with a Bachelor's Degree in Geophysics. During his undergraduate studies, he worked with Prof. Yongshun Chen on deep earthquakes and with Prof. Yanbin Wang on numerical simulations. He also participated in an interdisciplinary project on utilizing geothermal energy. He decided to come to the University of Texas at Austin for its outstanding academic atmosphere and excellence in applied sciences. Guochang Liu is a visiting student from the China University of Petrolem, from which he holds a bachelor's degree in engineering. He has worked on a project on "Coupled Fluid Flow and Seismic Wave Propagation for Reservoir Modeling", sponsored by the National Natural Foundation of China, and has coauthored several papers on data transformation schema such as wavelets and curvelets. He had heard that the University of Texas is "very good" and has "excellent resources". 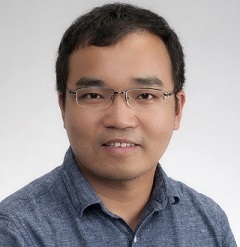 Yang Liu is a postdoctoral fellow at the Bureau of Economic Geology, The University of Texas at Austin, and is working with Prof. Sergey Fomel on seismic data processing. Dr. Liu received his M.S. (2003) and Ph.D. (2006) in the College of Geo-Exploration Science and Technology, Jilin University, China. His work has focused on the study of several new seismic processing methods and the velocity structure of underground media in northeast of China. Dr. Liu was a lecturer as an employee at College of Geo-Exploration Science and Technology, Jilin University, through 2006. Dr. Liu is currently involved in a research project on seismic data regularization and noise attenuation using novel transform methods. Mason Phillips earned a B.S. degree in Geophysics from The University of Texas at Austin in 2015. His previous research experience includes processing passive seismic data associated with induced seismicity in North Texas. He is currently working with Sergey Fomel at TCCS and pursuing an M.S. in geophysics. His primary interests include seismic data processing, attributes, and interpretation. After graduation, he hopes to find a position in the energy industry. Jack Poulson completed his masters in aerospace engineering at UT Austin in 2009 and is now a Ph.D. student working with Lexing Ying in the newly renamed Computational Science, Engineering, and Mathematics (CSEM) program. 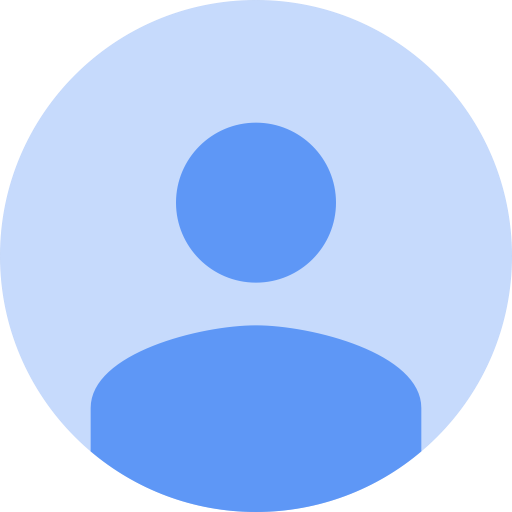 He is currently interested in the design an implementation of massively parallel fast algorithms and eigensolvers. He has recently released software for efficiently applying multidimensional non-uniform FFTs and FIOs on supercomputers and is also the author of a parallel dense linear algebra library. Kelly Regimbal received her Bachelor of Science degree in mathematics with minors in geology and statistics from Colorado Mesa University. She worked with Dr. Dan Schultz-Ela on seismic data processing and imaging using a reversible transform. Kelly is currently a MS student working with Dr. Sergey Fomel. She chose TCCS for the challenging research opportunity and superior resources. She hopes to acquire a position in the oil industry after graduation. Dr. WenZhan Song is a Professor of Computer Science and Director of Sensorweb Research Laboratory at Georgia State University. His research mainly focuses on cyber-physical systems and computing for geophysical imaging, smart grid and smart health, where decentralized sensing, computing, communication and security play a critical role and need a transformative study. Dr. Song has led several major interdisciplinary research projects on those issues with $7 million+ grant support from NSF, NASA, USGS, and industry since 2005. His work on volcano monitoring sensor network was featured in MIT Technology Review, Network World, Scientific America, New Scientist, National Geographic, etc. Dr. Song is a recipient of NSF CAREER Award (2010), Outstanding Research Contribution Award (2012) by GSU Computer Science, Chancellor Research Excellence Award (2010) by WSU Vancouver. He was also a recipient of 2004 National Outstanding Oversea Student Scholarship by China during his PhD study. Dr. Song serves several premium conferences and journals, such as IEEE Transaction on Parallel and Distributed Systems. Xiaolei Song is a recent recipient of a Master's Degree from the Department of Geophysics of Peking University, where she also received a Bachelor of Science degree in 2006. She worked with professor Xiaofei Chen on various projects, including a Master's Thesis "Research on the Effect of Irregular Structure to Inverse Problems of Surface Wave Dispersion Curves". Her choice of Texas was based on several factors, notably including the fact that she had "heard that people are very smart". Yanadet Sripanich was one of the Royal Thai Scholars (2008) who earned a full scholarship from the Royal Thai Government to complete his undergradute study in Geosciences in USA. He enrolled at the University of Texas at Austin in Fall 2009 and received two Bachelor of Science degrees with highest honors in Geophysics and Mathematical Sciences in Spring 2013. He was also a part of the Undergraduate Honor Research Program of the Jackson School of Geosciences. His undergraduate honors thesis, supervised by Dr. Sergey Fomel, was focused on developing efficient algorithms for seismic ray tracing in layered media and their application in exploration geophysics. Junzhe Sun graduated from a joint education program between China University of Petroleum-East China and Missouri University of Science and Technology with a Bachelor's Degree in Geophysics in 2012. He worked with Prof. Stephen Gao on seismic anisotropy and mantle flow when he was at Missouri S&T. He is currently a Ph.D student working with Prof. Sergey Fomel. Junzhe chose the University of Texas because of its rich resources in Earth and computational sciences as well as excellent research opportunities. Ryan Swindeman received a BS in physics with a minor in mathematics from the University of Illinois at Urbana-Champaign. There his research and thesis comprised a condensed-matter physics and geophysics crossover project concerned with earthquake statistics and a mean-field model; his advisor was Dr. Karin Dahmen. Ryan enrolled at the University of Texas at Austin in fall 2013 and is pursuing a MS in geophysics. After graduation, he hopes to find a position in the oil industry. Paul Tsuji received a B.S. in Applied Mathematics at Columbia University in 2008 and an M.S. in Computational and Applied Mathematics at UT Austin in 2010. Currently, he is pursuing a Ph.D. in the Computational Science, Engineering, and Mathematics program at UT Austin under the supervision of Lexing Ying. His research focuses on fast algorithms for high-frequency wave propagation in heterogeneous and anisotropic media, with applications to electromagnetics, acoustics, and elasticity. Xiaokai Wang is a visiting scholar from Xi'an Jiaotong University (XJTU). He received his bachelor's degree in information engineering from XJTU in 2006 and his Ph. D degree in communication engineering from XJTU in 2012. From 2012 to 2014, he was a postdoctoral fellow at the Institute of Geology and Geophysics, Chinese Academy of Sciences. He joined the department of computational geophysics in XJTU in 2015. His research interests focus on time-frequency analysis and its applications in seismic data processing. Guoning Wu is an Associate Professor in the College of Science at China University of Petroleum-Beijing, Beijing, China. He earned a bachelor's degree in Mathematics from ShanXi Normal University in 2001, a master's degree in Mathematics from Harbin Institute of Technology in 2003, and a Ph.D in Geophysics from China University of Petroleum-Beijing, in 2012. His research focuses mainly on seismic signal processing, sparse time-frequency analysis, and machine learning. Zhiguang Xue earned a bachelor's degree in Exploration Geophysics from China University of Petroleum (East China) in 2012. Before being admitted to the University of Texas at Austin in fall 2013, he worked with Prof. Zhenchun Li on seismic data processing and imaging based on inversion. Zhiguang is currently a Ph.D. student in the Bureau of Economic Geology, working with Sergey Fomel. He chose TCCS for his advanced studies because of its outstanding geophysicists and excellent students, and he looks forward to his studies at this young, creative place. Haizhao Yang recieved his Bachelor's Degree in mathematics from Shanghai Jiao Tong University in 2010. He worked with professor Weinan E on complex networks and professor Zhenli Xu on fast algorithms in computational chemistry. 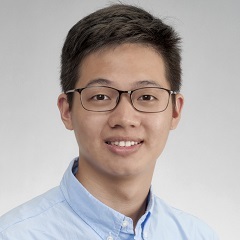 He is currently a PhD student in the math department of the University of Texas at Austin, working with professor Lexing Ying on various problems in applied mathematics. His interest is fast algorithms in applied harmonic analysis, computational seismology, signal processing, and complex networks. Pengliang Yang received his bachelor's degree in 2009 from Nanjing University of Aeronautics and Astronautics and is currently pursuing a Ph.D. at Xi'an Jiaotong University. Previously, he worked on sparsity-based seismic data reconstruction using the theory of compressed sensing. His current research is mainly on reverse time migration and sparse inversion, and at TCCS he will study seismic imaging and inversion. 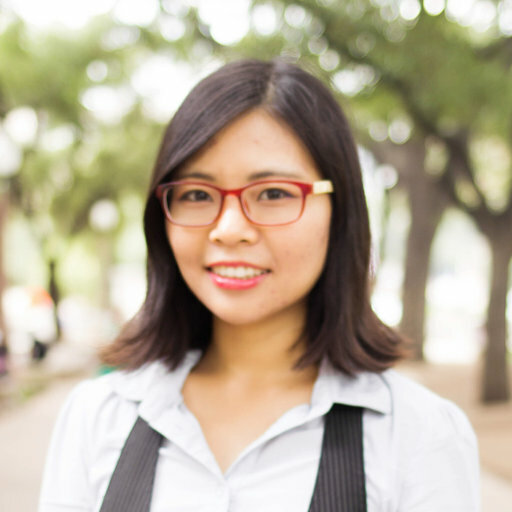 Lexing Ying received a PhD from New York University in 2004 and was a postdoctoral scholar at Caltech from 2004 to 2006 before joining UT Austin. He received a Sloan Foundation Research Fellowship in 2007 and an NSF Career award in 2009. 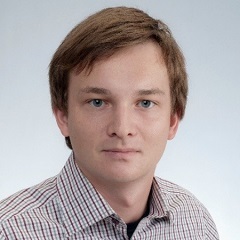 Lexing works in computational and applied mathematics and his research focuses on developing efficient algorithms for the solution of partial differential equations. Min Zhang is a visiting Ph.D student from the China University of Petroleum (East China). After Min received her bachelor's degree of Computer Science and Technology from the College of Computer & Communication Engineering in 2005, she began her master's degree study of applied geophysics in the College of Geo-Resources & Information and matriculated to be a doctor student exempted from the admission exam in 2007, under the supervision of Prof. Zhenchun Li. Her research is mainly on wave-equation migration in complex subsurface structures and migration velocity analysis. She participated in the project "Macroscopic velocity analysis and model building in southern marine facies carbonate exploration area." She believes in having an absolutely worthwhile experience in Austin. Biography: Hejun Zhu is a Dean's distinguished postdoctoral fellow at the Jackson School of Geosciences, UT Austin. He earned a bachelor's degree in geology from Sun Yat-sen University in 2005, a master's degree in geophysics from Peking University in 2008, and a Ph.D in geophysics from Princeton University in 2013. His research focuses on solving seismic forward and inverse problems. His master's thesis concerned simulating seismic wave propagation in 3D Earth models by finite difference methods, while his Ph.D. thesis used adjoint methods of imaging the crust and upper mantle beneath Europe and the North Atlantic. Tieyuan Zhu is a Distinguished Postdoctoral Fellow in the Jackson School of Geosciences in the University of Texas at Austin. He received his Ph.D. degree from Stanford University in 2014. Tieyuan is an exploration seismologist who seeks to solve challenging energy and environment problems using seismic waves. His interests include advancing understanding of physics of seismic wave propagation in real Earth media, time-reversal imaging, seismic inversion and imaging, and time-lapse monitoring.